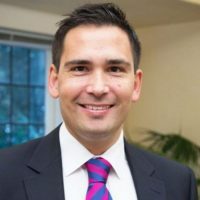 According to the Communications Minister Simon Bridges, more than one-third of New Zealanders with access to Ultra-Fast Broadband (UFB) are now connected. The March 2017 Quarterly Broadband Update released today showed the number of households, business, schools, and hospitals who connected to UFB which increased 12 percent in the past three months to reach 367,788. The quarterly update also shows that deployment for phase one of the UFB programme is almost three-quarters complete, providing 1,103,000 households and businesses with access to a download speed of up to 1000 Megabits per second (Mbps). Alongside the UFB programme, the Government’s Rural Broadband Initiative (RBI) continues to deliver faster broadband to priority users and rural communities outside of UFB areas. UFB uptake is expected to continue to rise at a strong pace as demand for broadband increases for personal, educational and business use. Recent information released by Chorus and Orcon highlighted that users of faster UFB plans are using well above the current average home internet usage in New Zealand which is 151GB per month per household.